This is Part II of a two-part piece on corporate personhood. Part I is here, cleverly disguised as a post about the city of Los Angeles. The Supreme Court of the United States (Dartmouth College v. Woodward, 1819), recognized corporations as having the same rights as natural persons to contract and to enforce contracts. In Santa Clara County v. Southern Pacific Railroad, 118 U.S. 394 (1886), an insertion into the decision’s headnotes by the clerk, J.C. Bancroft Davis, led many to believe the Supreme Court had recognized corporations as persons for the purposes of the Fourteenth Amendment. The first Supreme Court decision is pretty straightforward — it helped guarantee the enforceability of contracts. It’s the second decision — which ties the rights of corporations to the Fourteenth Amendment — that caused all the trouble (for us of course, not for corporations). 2. Written by the clerk of the Court, not the justices. Note that the clerk who authored the headnote was (ready?) a former railroad president. 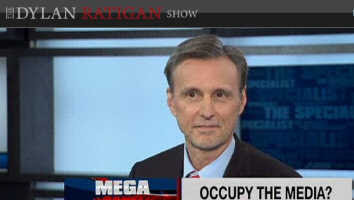 Now the segment, in which Thom Hartmann and others discuss this decision on a recent Dylan Ratigan Show. The discussion starts with ways to get corporations out of elections and includes references to 1800s state laws that forbid this. In many ways, that decision starts the modern era. And if outcomes go to extremes, there are only two ways the social conflict created by that decision can be resolved. Neither will be fun to experience. ■ The Russian Revolution ushered in the dreary Stalinist era of state control and a cowed, cowering populace. ■ The American Revolution replaced the British landed aristocrats with the Virginia landed aristocrats, and temporarily neutered the king (we fixed that though). ■ The French Revolution set the bar forever for “folks gone wild.” It took two Napoleons and a devastating loss to the Germans before the French got a democracy they could keep. I’m not sure the middle choice is on the menu this time round — I don’t think our current Kochian overlords would ever surrender, at Yorktown or anywhere else. And the other two outcomes — the extremes of Stalinist submission or riots by the desperate — are decidedly unattractive (in my humble estimation, of course).